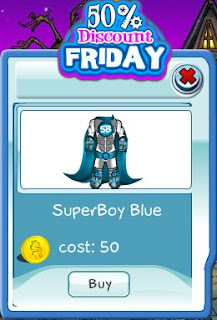 Today's 50% Discount Friday item is the SuperBoy Blue superhero costume. Are you mighty enough to be a SB superhero? If yes, then now's the time to get this before the offer ends today.